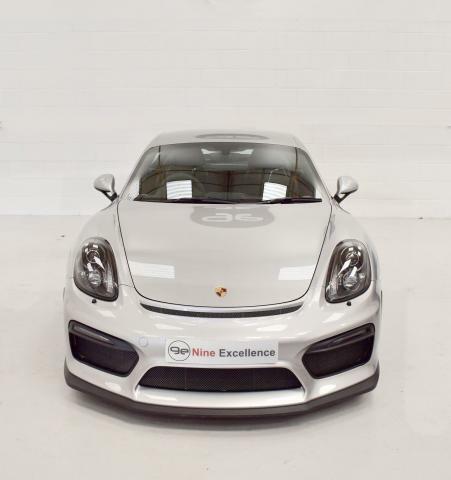 Additional information Nine Excellence are proud to present this very high specification, low mileage Cayman GT4 with the all important Club Sport package. 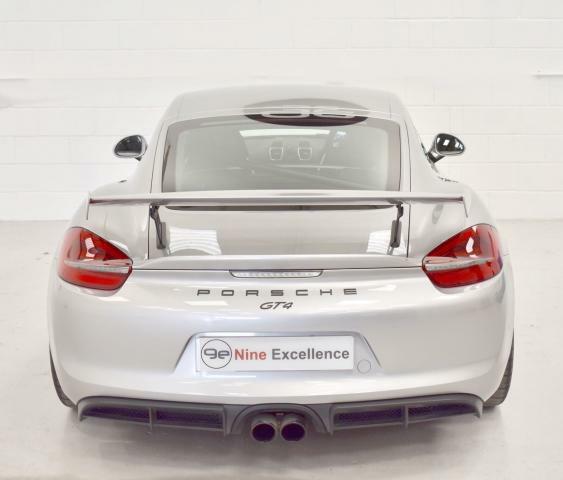 This fantastic one owner car was superbly optioned, with the owner ticking the best of the Porsche options. 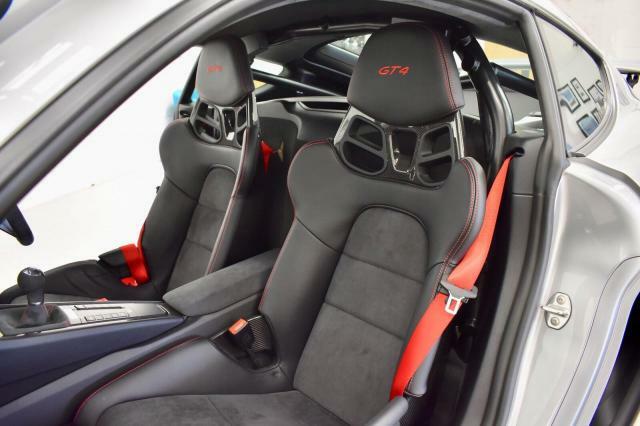 The interior features swathes of optional carbon, alcantara and includes the full 918 style bucket seats with red contrasting stitching and carbon backing. 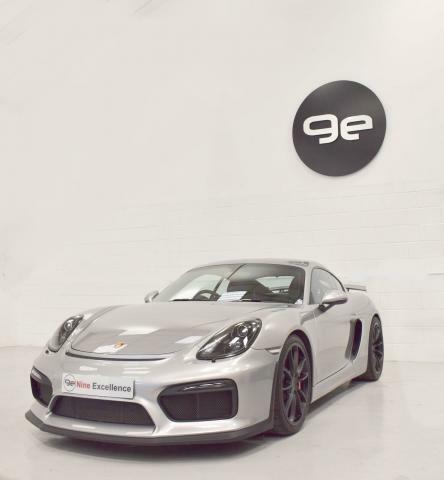 Other optional highlights include Sports Chrono Package with the Track Precision App, PCM Navigation module, Mobile Phone Prep, the excellent Bi-Xenon Porsche Dynamic Lights system, and much more! The car sits on the premium Dunlop Sport Maxx tyres and the car is supplied unmodified, with all original panels, full documentation, two sets of keys and balance of manufacturer’s warranty. Please don’t hesitate to call ! The Porsche GT4 was introduced as a new addition to its line of revered GT high performance models. It was the first time Porsche has introduced such a focused GT model based on the mid-engined, two-seat Cayman coupe. 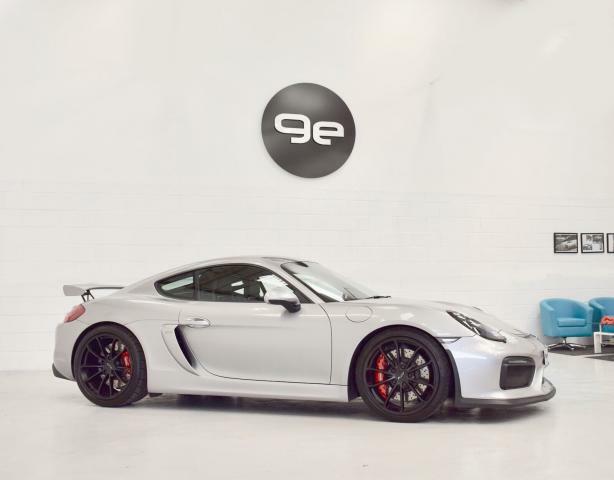 Sharing components and genetic spirit with the iconic 911 GT3, a lap time of 7 min 40 sec around the Nürburgring Nordschleife places the Cayman GT4 emphatically as the new benchmark at the top of its market segment. 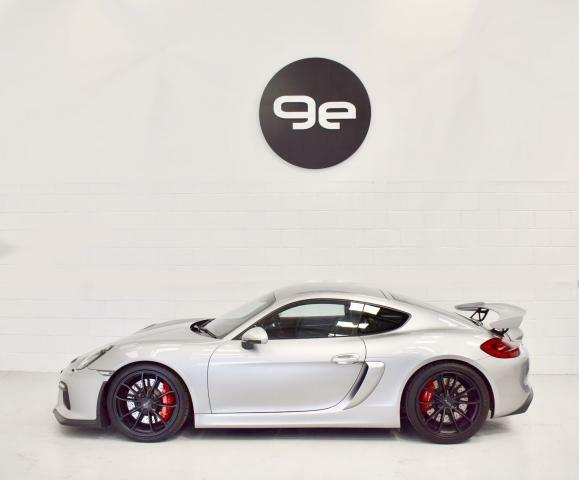 The engine, chassis, brakes and aerodynamic design of the Cayman GT4 are configured for maximum driving dynamics; yet the GT4 still retains the versatility and everyday utility that are typical of a Porsche sports car. 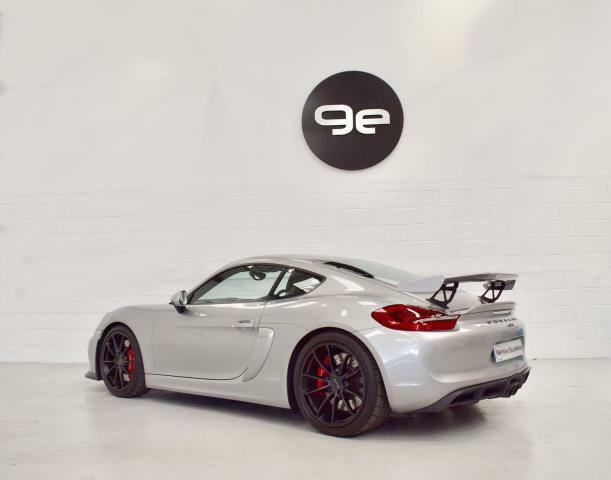 The Cayman GT4 is powered by a mid-mounted, 3.8-litre flat-six engine with 385 hp (283 kW), which is derived from the 911 Carrera S engine. Its power is transmitted by a standard six-speed manual gearbox with dynamic gearbox mounts. 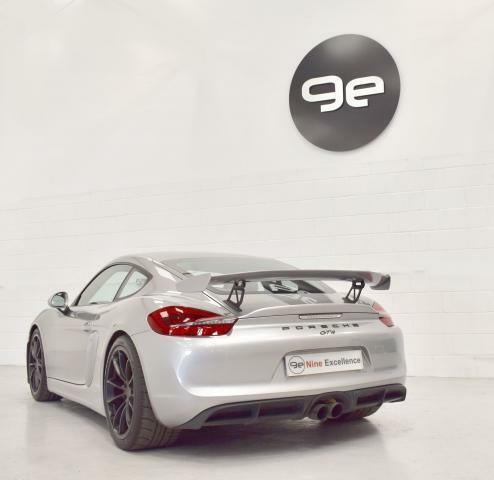 This translates in to acceleration from zero to 62 mph in 4.4 seconds; top speed is 183 mph. The body is lowered by 30 mm versus the standard Cayman, and features a purposefully-proportioned brake system. 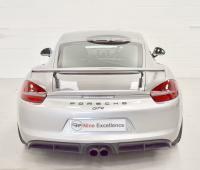 Furthermore, the chassis has been comprehensively fine-tuned with many components shared with the 911 GT3. Fit for the race track: first Porsche Cayman with downforce on both axles. 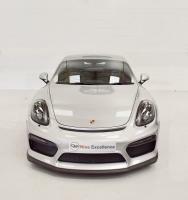 Standard equipment included: Bi-Xenon headlights, Sports exhaust, Sport Chrono Pack with dynamic engine mounts, Leather/Alcantara interior trim, Sports seats, 20-inch alloy wheels, Porsche Torque Vectoring (PTV) with rear limited slip differential, Digital radio, Universal audio interface offering MP3 connectivity, Automatic climate control, Porsche Stability Management (PSM), Porsche Vehicle Tracking anti-theft system and a three-year warranty. The car sits on Dunlop Sport Maxx tyres, comes with 2 sets of keys and full documentation, with the balance of the manufacturer’s warranty available for transfer.